“You can tune a piano but you can’t tuna fish.” I’ve always loved that joke. I’ve always wanted to play a didgeridoo-really! Just ask Petey. I want a pet bear, bee hives, and to play the didgeridoo. My life would then be complete. On the other hand, didgeridoo sounds way funnier than piano. Growing up, whenever there was some kind of potluck, cookout, or cold dinner, my mom and her sisters made two or three mayonnaise-based salads for it. 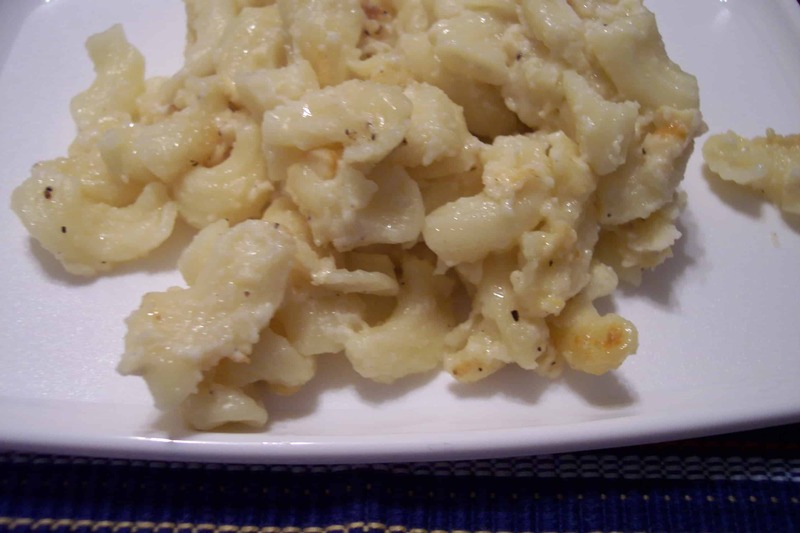 Sometimes there would be a salad of macaroni, chopped hard-cooked egg, onion, and mayo. Sometimes it was the most basic coleslaw in the world: shredded cabbage and carrots, mixed with straight mayonnaise. There would always be potato salad; spuds, chopped eggs and onions mixed with old man mayo. Sometimes, to mix things up, there might be chopped baby dills, or crispy bacon (as earth-shattering as you’d imagine it to be). The other eternal standby was a tuna and macaroni mélange; mixed with…you guessed it, mayonnaise. With just the tuna I already liked, but mixed with macaroni instead of spread on Wonder bread like normal. I loved it. Straight mayo–a dried out, greasy mess. I still love the mild flavor. But over the years have identified a serious problem with the mac/mayo marriage. Unlike potatoes, there’s no limit to the absorption of pasta. The longer a mixed bowl of tuna mac sits, the more mayonnaise it absorbs, and the drier the salad gets. So I fixed it. And with that problem solved, I changed the pasta to something that was unexpected, and brought a texture to the party that I enjoyed much more. I also wanted to put more color and flavor into it. Place pasta, peas, shallot, and tomatoes into a bowl. Drizzle with a bit of olive oil and gently, gently stir until the pasta is in individual strands, and not clumped together. Break up tuna in pieces and stir into pasta. Fold in dressing, a bit at a time, until it’s loose and moistened. Cover with plastic wrap and let sit at room temp for 1 hour before service. When ready to serve, uncover and check for seasoning and moisture. If needed, mix in a tablespoon at a time of water until it’s moist and able to be spooned out onto plate. Serve on a bed of red leaf lettuce or arugula, dusted with paprika. Serves 4 as a main, or 6-8 as a side. As the kitchen Cab Calloway, I’ve got some ideas for jazzing up this simple salad. Salmon’s an option. You can go canned or fresh. If you’re using fresh salmon, poach it in some herb and lemon-infused vegetable stock for 5-10 minutes. You can also bake it. Just paint it with a little Dijon mustard and sprinkle on salt, pepper, and fresh dill. Put it in a 450 degree oven for 12-15 minutes. Cook the fish until it’s no longer translucent, and just starting to flake. Let it cool completely, and flake into salad. Try it with thawed and drained salad shrimp. Having a bag of these in your freezer is a great idea. Use fresh tuna. Season a steak, and cook it in a screaming hot skillet for 3 minutes a side. The center should still be pink. Cool and slice into bite-size pieces. The dressing is flexible as well. Add fresh tarragon, basil or parsley. Add some heat in the form of cayenne or chiles. 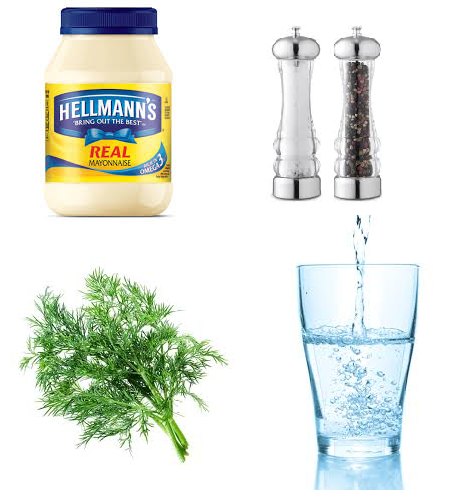 Add Dijon to the mayo. Thin it with fat-free buttermilk, instead of water. 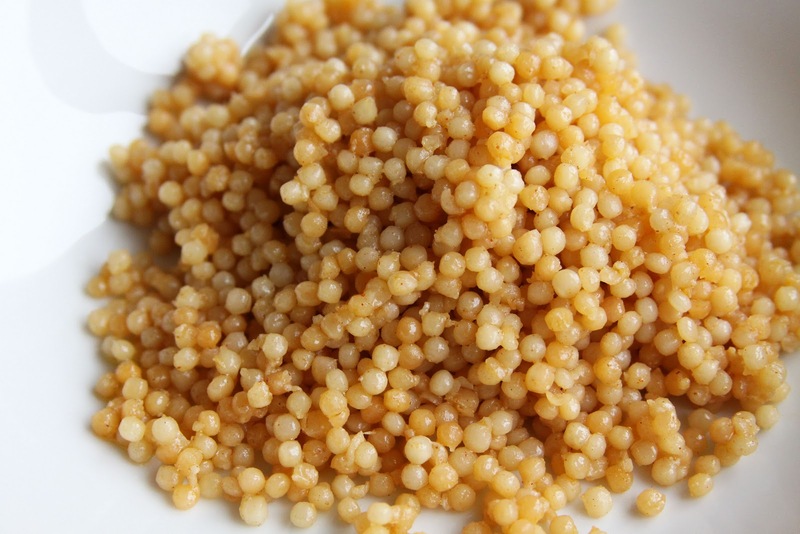 Israeli couscous is basically just little pasta balls…what’s not to love? The noodle isn’t mandatory. Use orzo, orecchiette, or cavatappi. 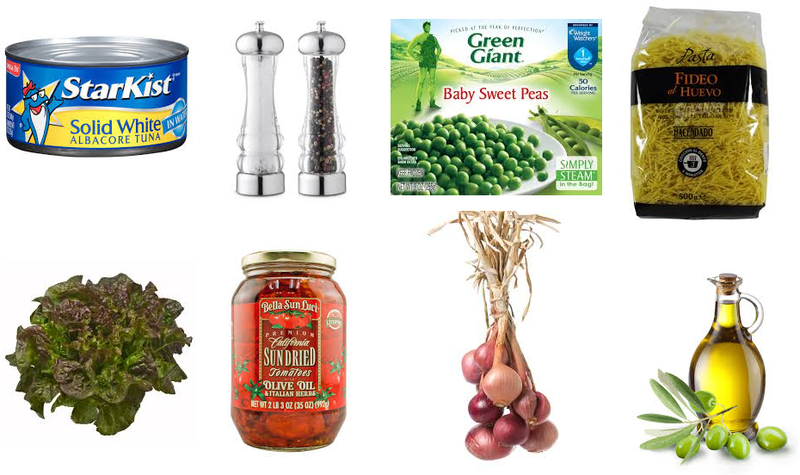 You could even lose the pasta altogether and go with pearl barley, Israeli couscous, or quinoa. Instead of plating it on the greens, mix them right in. Add different vegetables, or some nuts, for crunch. It’s possible to really change up this salad. So much so that you could be eating a bowl of cornflakes with bananas and milk, and still technically be eating my tuna pasta salad.